Back is the largest area of canvas on the body. It might be one of the best place for tattoo. Artist can add a good amount of detail with its large canvas. If you’re thinking about getting a back tattoo, you are in good luck. Here is a great collection of 70 cool back tattoo ideas for your inspiration. Take time to browse through these photos and pin it if you like any of them! Check out in the gallery below 70 creative spine tattoos that will inspire you for your next ink session, and we know there’s going to be a next one so don’t fight it. Also make sure to see this gallery of cool tattoo ideas if you’re searching for inspiration in general. Tattoos can even distinguish between groups, because many people think that tattoos are more personalized and attractive, so many people choose those who have tattoos when making friends. It’s best to distinguish between yourself and others. 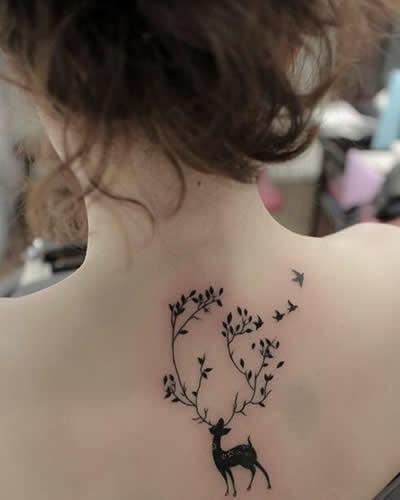 If someone likes a tattoo and happens to have a tattoo on your body, then you may become a good friend with similar interests.